Dr Kandasamy finished his secondary education at Christ Church Grammar School. Following this he attended the University of Western Australia where he completed his dental degree in 1998. Over the next 3 years, Dr Kandasamy worked in private dental practice and at Perth Dental Hospital, Government Dental Health Services and the Centre for Rural and Remote Oral Health in Albany, Kalgoorlie and Perth. During this time, Dr Kandasamy completed the primary examinations with the Royal Australasian College of Dental Surgeons as well as a Bachelor in Science in Dentistry based on research pertaining to orthodontic treatment and the interdental papillae. In 2002, Dr Kandasamy relocated to Melbourne to study both his Graduate Diploma in Clinical Dentistry and Doctorate in Clinical Dentistry (specialist orthodontics degree) at the University of Melbourne under Professor Michael Woods. Concurrently, he also completed examinations to be accepted as a Member of the Royal College of Surgeons Edinburgh. Following graduation as a specialist orthodontist in 2004, Dr Kandasamy returned to Perth, where he joined a group specialist private orthodontic practice in Midland. In his first year, he travelled to the USA to complete a post doctoral fellowship at the Center for Advanced Dental Education, Department of Orthodontics, Saint Louis University, Missouri under the mentorship of Professor Rolf Behrents and Professor Lysle Johnston. On his return, in 2006, Dr Kandasamy continued private practice in Midland with Dr John Owen where they both owned and ran Midland Orthodontics until 2015. 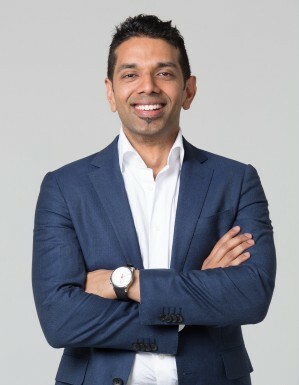 In January 2016, to maintain his commitment to servicing the community in Perth’s Eastern suburbs and provide his own unique brand of high level service and quality treatment, Dr Kandasamy opened his own practice, West Australian Orthodontics. In 2014, Dr Kandasamy was admitted as a Fellow of the Royal College of Dental Surgeons in the Special Field of Orthodontics. He is one of only 9 orthodontists in the world with this qualification. Sanjivan Kandasamy is currently a Clinical Associate Professor at the Dental School, University of Western Australia. He is also an Adjunct Assistant Professor at Saint Louis University. Dr Kandasamy is also a reviewer for the American Journal of Orthodontics and Orthopedics, The Angle Orthodontist, Orthodontics- The Art and Practice of Dentofacial Enhancement and is the Assistant Editor of the Australian Orthodontic Journal. He is also on the Editorial Board of Seminars in Orthodontics. Dr Kandasamy has published numerous articles in the peer reviewed literature, seven textbook chapters and is the editor of the only textbook on Orthodontics and Temporomandibular Dysfunction in the world which was published in September 2015. Dr Kandasamy has and continues to lecture both nationally and internationally. In 2016, Dr Kandasamy received the P.Raymond Begg Research Award for his outstanding research into temporomandibular dysfunction, orthodontics and occlusion. The P.Raymond Begg Research Award is the Australian Orthodontic Society Foundation for Research and Education’s most prestigious award for an outstanding original research paper, or series of papers, with significance to orthodontics. Dr Kandasamy is the seventh orthodontist in 36 years to receive this award since its inception in 1980. His current interests are temporomandibular dysfunction, occlusion and orthodontics, the influence of growth and orthodontic treatment on treatment outcomes and evidence-based orthodontic treatment.